Fans of cake & ice cream are sure to love this iconic dessert. My yummy version features layers of moist cake, crunchy pistachio ice cream and tart cherry ice cream. They are covered with a heavenly mound of meringue lightly toasted in the oven. This recipe takes a little time, but is worth every bite! 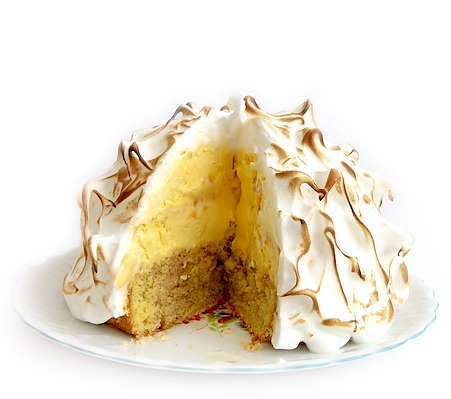 RecipeSavants.com Fans of cake & ice cream are sure to love this iconic dessert. My yummy version features layers of moist cake, crunchy pistachio ice cream and tart cherry ice cream. They are covered with a heavenly mound of meringue lightly toasted in the oven. This recipe takes a little time, but is worth every bite! Smart Recipes, American Recipes, Dairy,Eggs Recipes, Recipes Dairy,Eggs American Baked Alaska PT2H50M Serves 8 Ingredients: 6 Tablespoons Granulated Sugar 1 Teaspoon Pure Vanilla Extract 3 Large Egg Whites 1.5 Pints Pistachio Ice Cream 3 Large Egg Yolks 3 Ounces Bittersweet Chocolate 0.125 Teaspoon Salt 1.5 Pints Cherry Ice Cream Preheat oven to 350 degrees. Line an 8-inch round cake pan with parchment paper and add a light coating of cooking spray. Set aside. In a stand mixer on medium speed, whisk 3 tablespoons sugar and egg yolk until thick & foamy, about 15 minutes. Add vanilla and use a spatula to fold in chocolate until combined. In another bowl in the stand mixer, whip egg whites and 1/8 teaspoon salt until foamy. Add remaining sugar and beat until stiff peaks form. Use a spatula to gently fold egg whites into the chocolate mixture. Pour batter into prepared cake pan and bake until a toothpick inserted in the center comes out clean, about 20 minutes. Remove from oven and place on a wire rack to cool. Coat inside of a 5-cup metal bowl with cooking spray and line with plastic wrap. Add a layer of pistachio ice cream, then a layer of cherry and top with another layer of pistachio. Pack firmly, cover with plastic wrap and freeze until ice cream is solid, at least 2 hours or a day ahead. Line a sheet pan with parchment paper and arrange the cake in the center. Invert ice cream bowl on top of the cake. Cover ice cream cake with plastic wrap and place in the freezer. Stuff meringue into a pastry bag fitted with a #5 star tip. 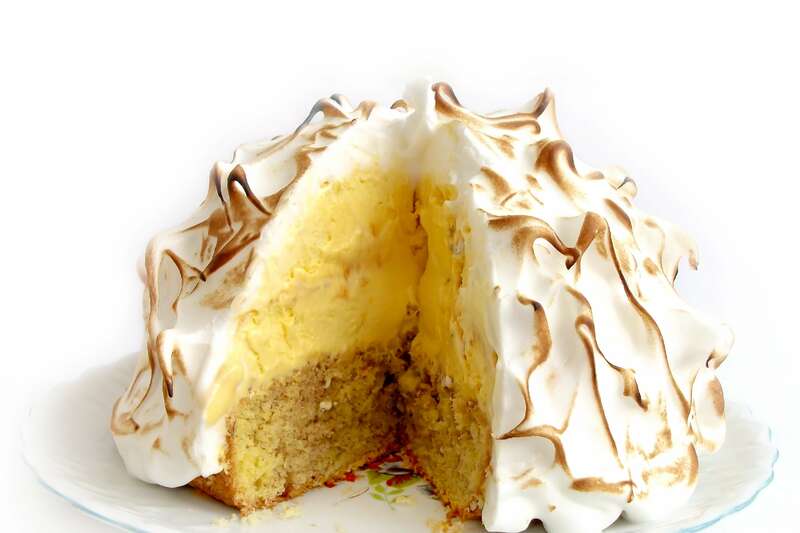 Pipe meringue attractively over entire ice cream cake and return to the freezer for 15 minutes. Place in the oven and bake until meringue tips just turn golden brown, about 1-2 minutes. Remove from the oven and serve. If you enjoyed this easy cake recipe, you'll love these fresh ideas! 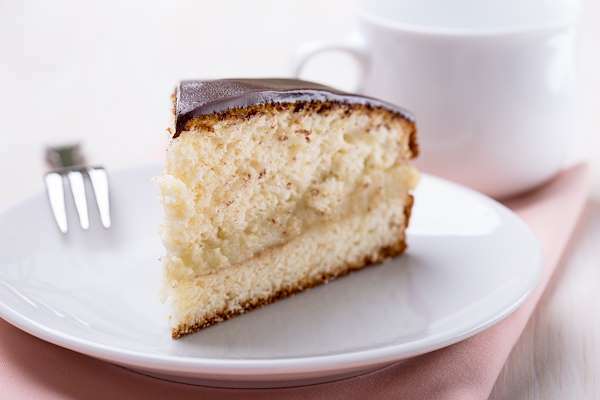 For a delicious & sophisticated dessert, try my version of classic Boston cream pie. It has two moist, tender layers of vanilla cake filled with creamy custard and topped with a luscious layer of chocolate ganache. It takes a little time to prepare, but it is worth it! 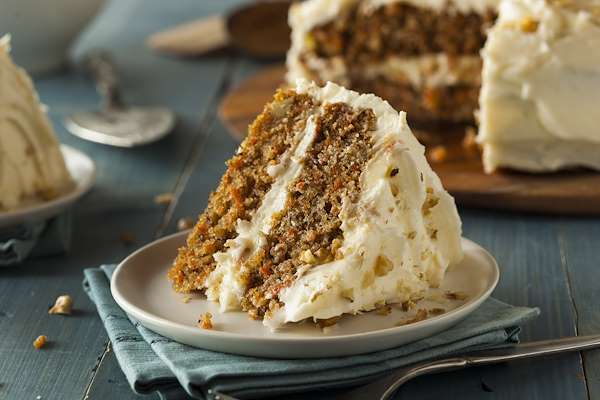 Regular carrot cake gets a makeover with this no-butter recipe—resulting in fewer calories and saturated fats. Buttermilk gives this cake a moist crumb, while the pineapple nuggets, flaked coconut, and chopped pecans add chunks of familiar flavor. The cream cheese frosting is a lavish finish. 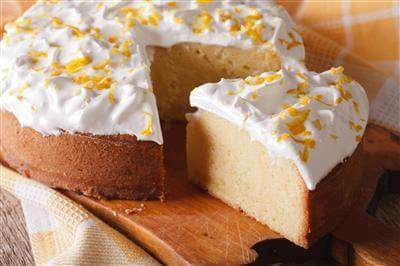 Tres Leches cake is a famous traditional Mexican butter cake that’s drenched in three milks, for an ultimate succulent & delicious cake. Save the recipe for dinner party menus and surprise your guests. A sumptuous Southern feast always culminates with a yummy dessert. 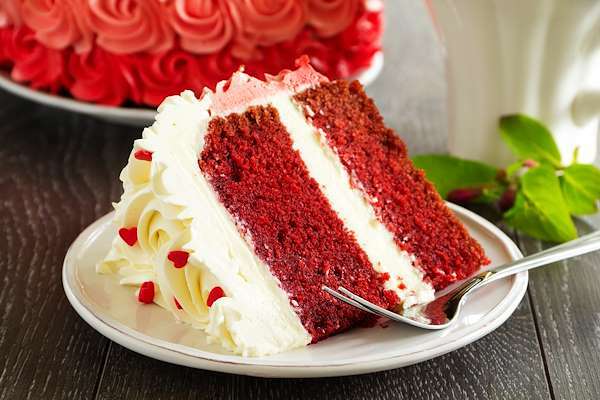 For this menu, serve your family the queen of southern desserts, a Red Velvet Cake. The base of this tempting version is a cake mix that you elevate with butter, cocoa, and red food coloring. Whip up the creamy frosting with powdered sugar, cream cheese, and butter.